Real cute! Thanks for hosting. All the better to eat chocolate with my dear. Cute! I love the angle of the photo. what a cute smile you have Little Red Riding Hood! 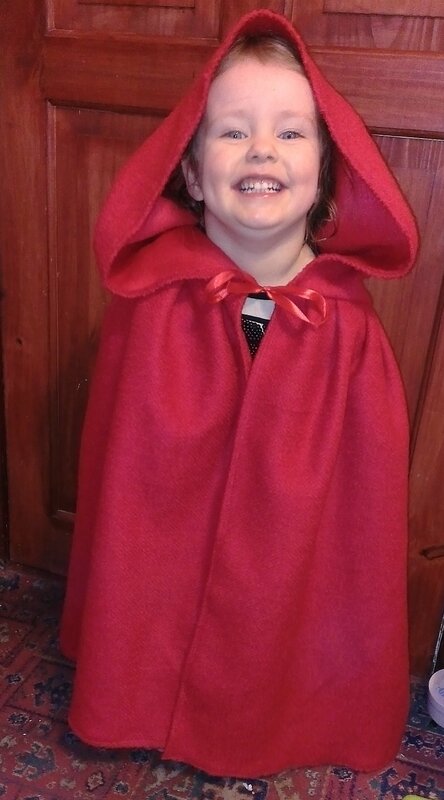 My girls have a red cape like this too. they pretend to be Supergirl. perhaps I’ve been derelict in the bedtime story department. Happy WW, Thanks for the linky! Tracy @ Ascending Butterfly recently posted..Butterfly Kiss!